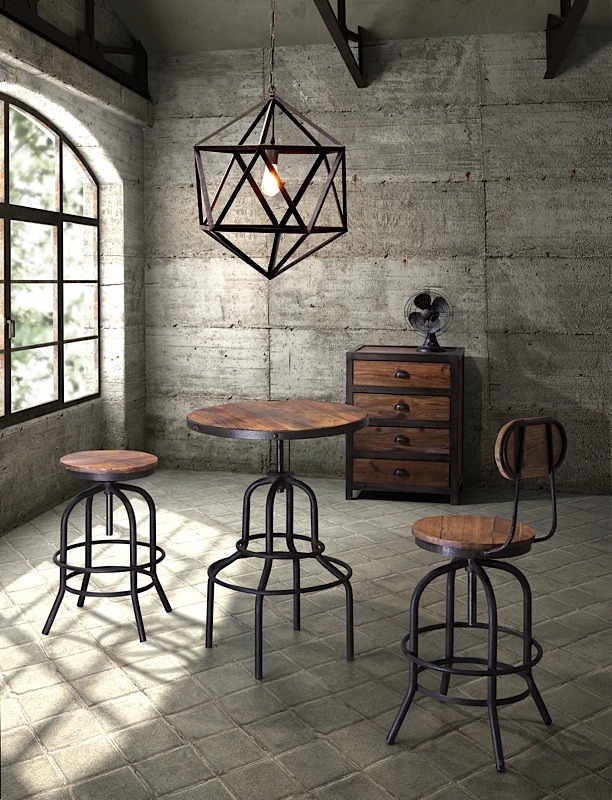 Based on the same mechanisms of drafter's chairs in the early 1900's, the Twin Peaks Counter Table's adjustable mechanism allows for a comfotable table height for anyone. 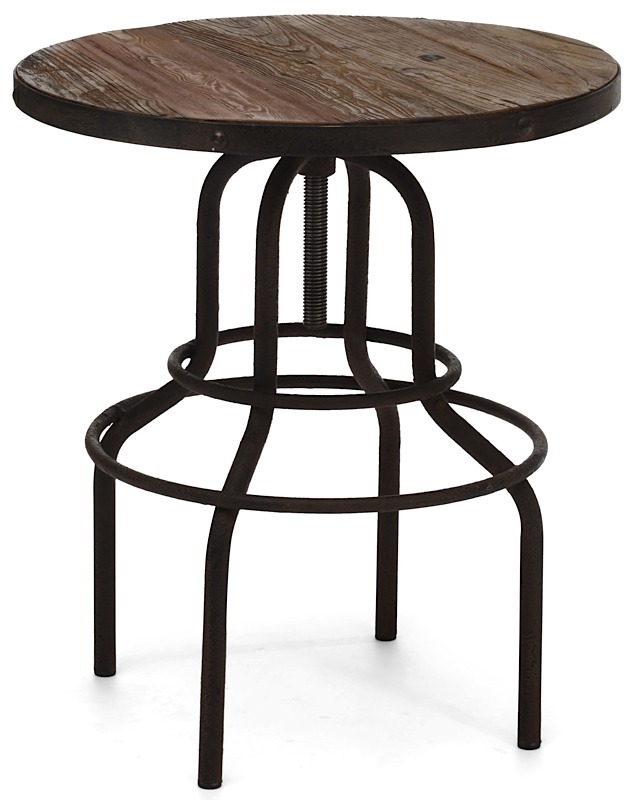 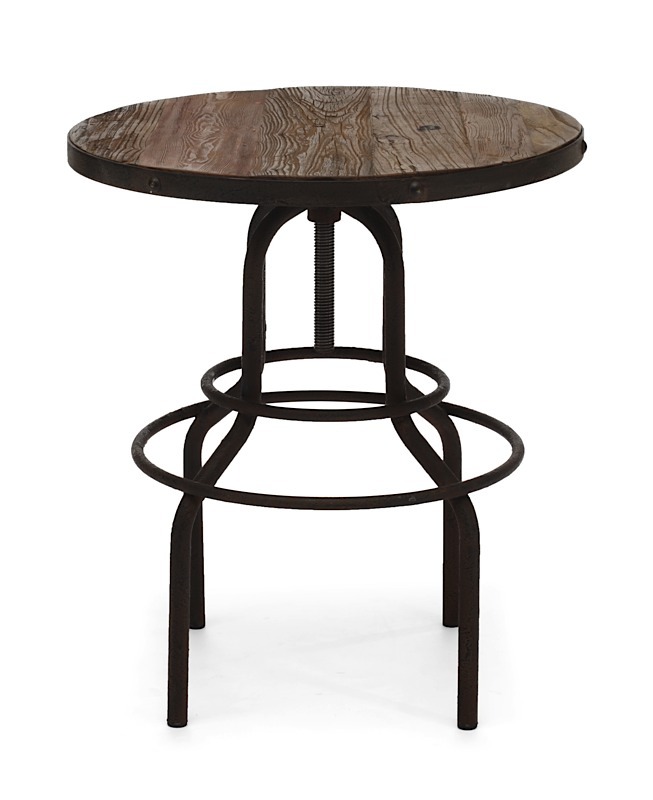 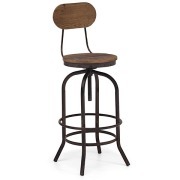 The top is crafted from solid elm planks and the base and accents are antique metal. 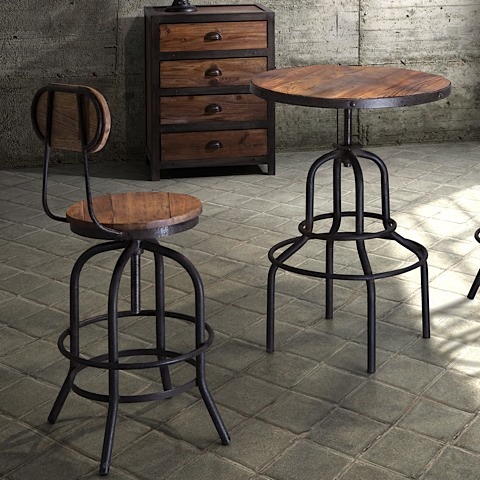 Coordinates with matching Counter stool.